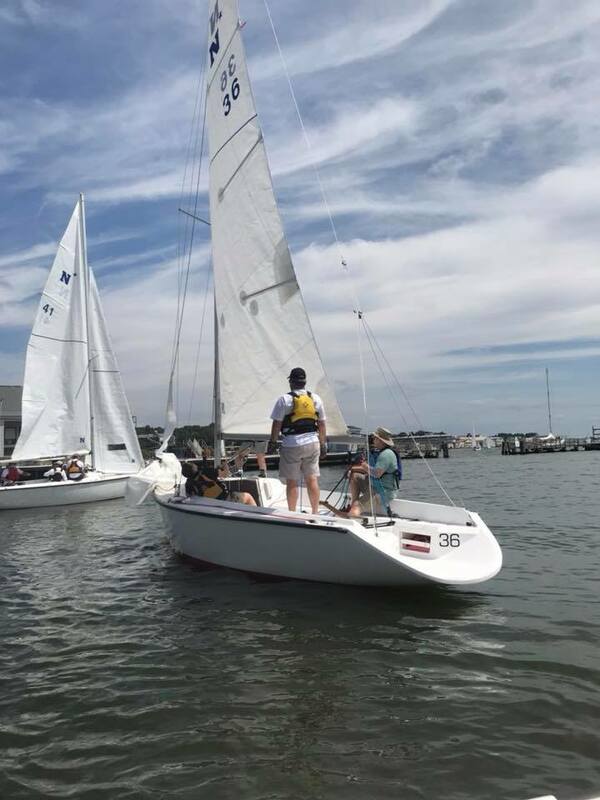 The second biennial Friends of Navy Sailing Event (FONS) was held August 24th & 25th in Annapolis. 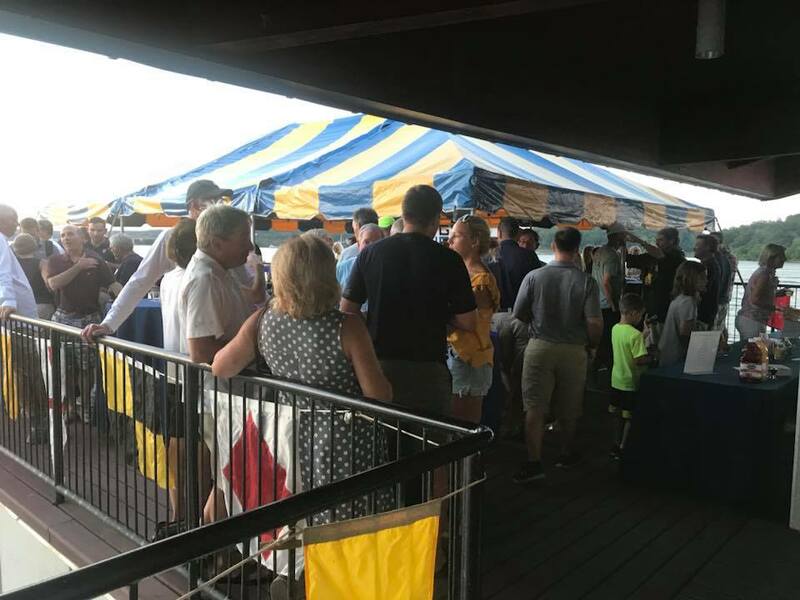 Over 150 program alumni, their families, and other “friends” were in attendance. 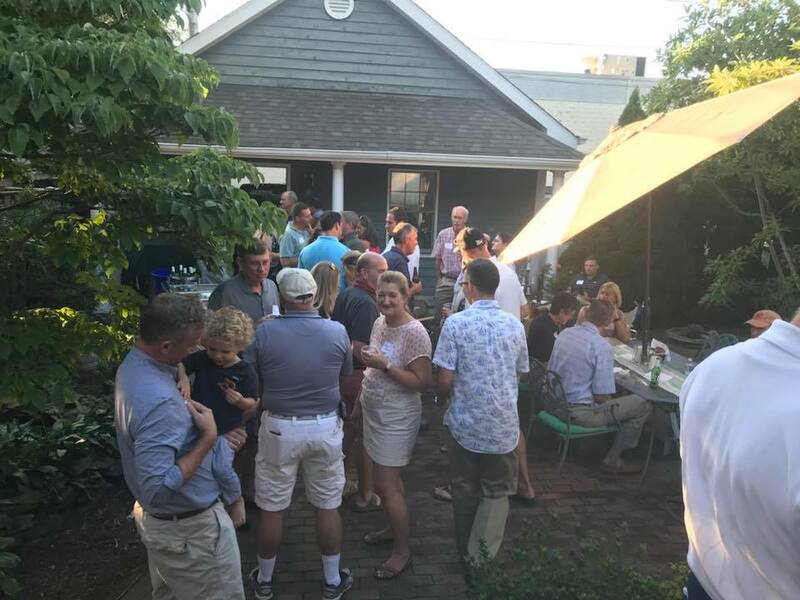 The event kicked off with an informal reception at the home of Bill & Maria Museler, where everyone enjoyed getting caught up with old friends and teammates. Teams were formed and challenges brought. Rumor was there were a few post parties. Good thing the skipper’s meeting Saturday was not until 1100!! We gathered in even greater numbers Saturday for on-the-water action! 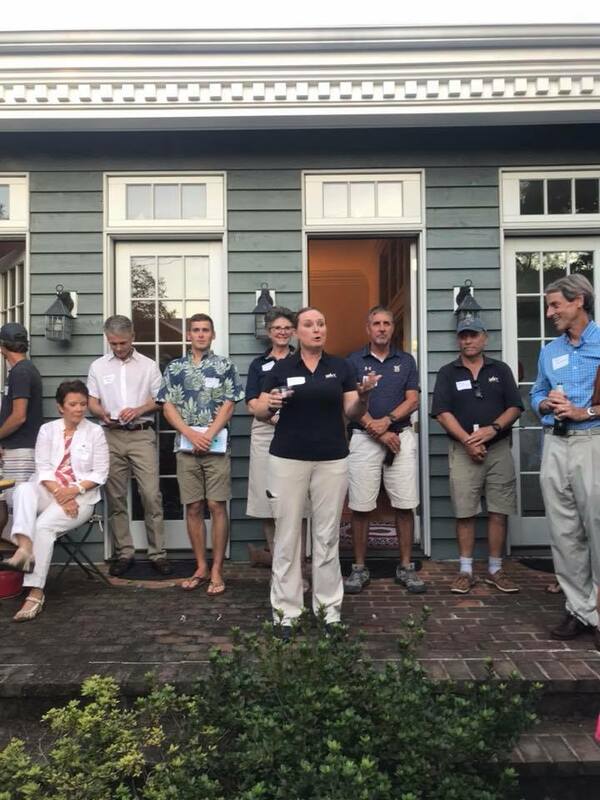 We received a warm welcome from the Commandant CAPT Rob Chadwick and an informative update on the sailing program from Director, Naval Academy Sailing CDR Marisa McClure. 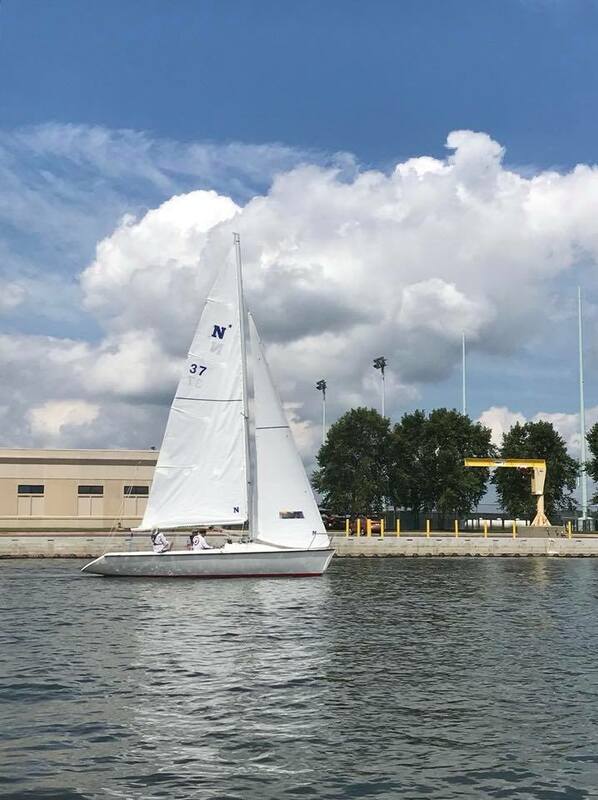 Preparations were made for three activities; racing in 420’s and Colgate 26’s, and day sailing aboard Navy 44’s. Twenty 420 teams completed a total of five light-air races with Parker Garret (’01) and crew Kent Mathes prevailing. 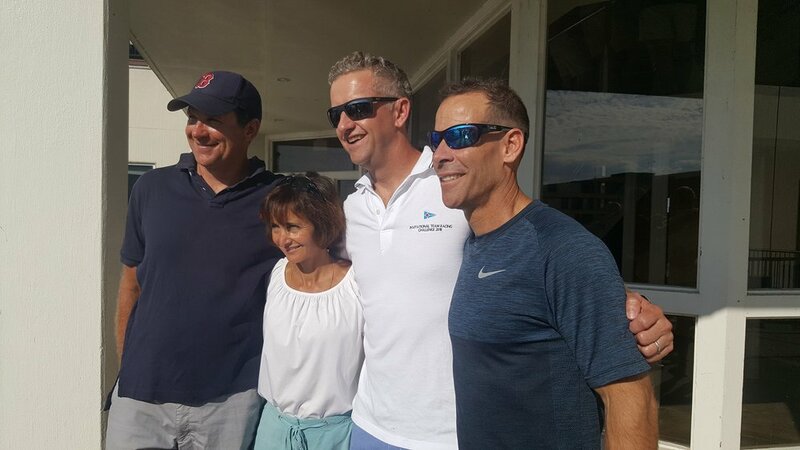 A close second (and leading going into the last race) were Keith and Yvette Davids (’89). They also set a record as the highest ranking active duty Navy 420 skipper/crew combination ever fielded in the history of the world. Rounding out the top three were Mary Hall (‘15) and Hammrick Morgan (’18)! A competitive field of 14 Colgate’s sailed a separate course and also completed five races in the fluky southerly. 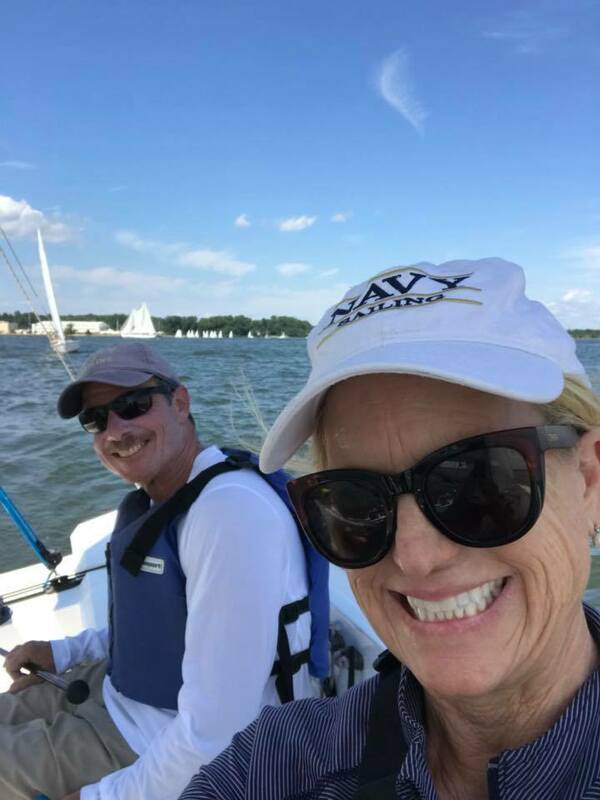 Nick (‘81) & Maureen Madigan and Bill Cavitt (’80) had a good series winning by solid margin. 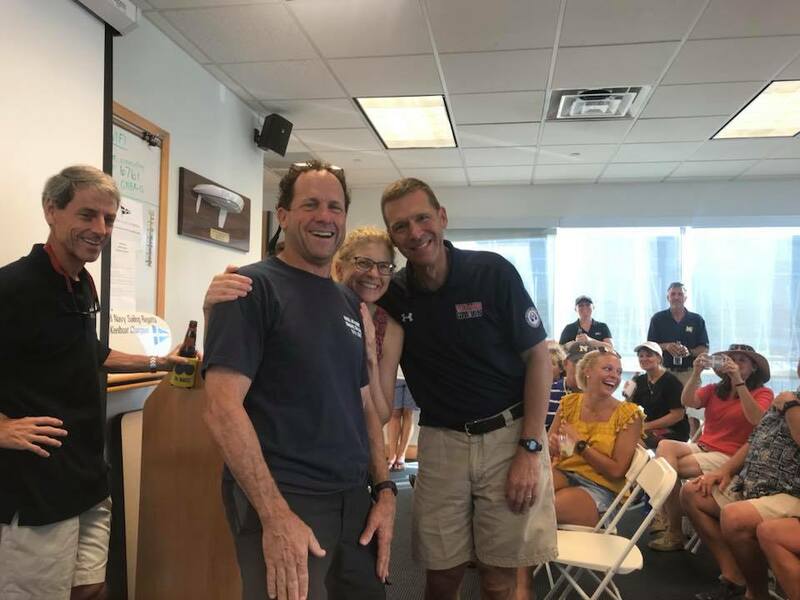 Racing for second was close with Dixon Smith (’83), Pam Corwin (’83) and Mike “Maso” Moore (’78) prevailing by one point over Gar Wright (’77), Paul Labossiere (’77) and Kay Hire (’81). Then the real fun started…prizes were given along with a few special awards. 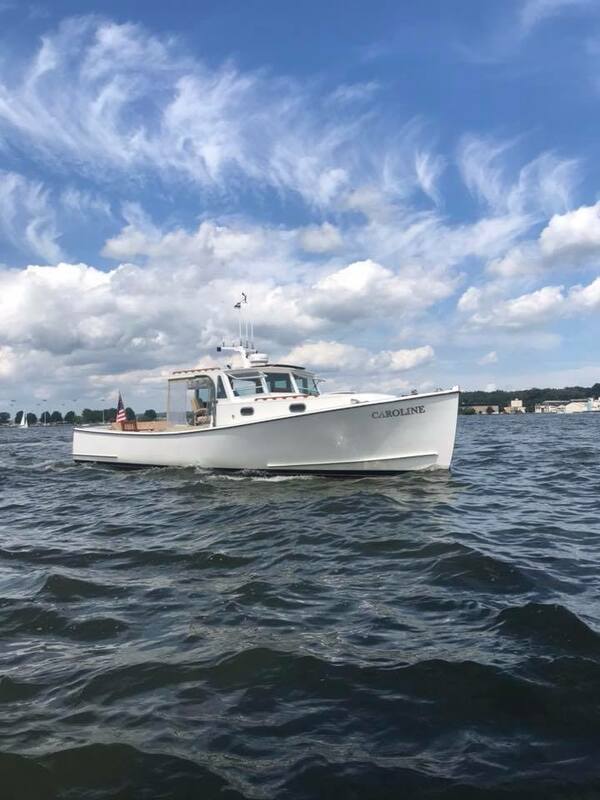 Current midshipmen designed and built perpetual trophies for the event of old 420 rudders – very cool! 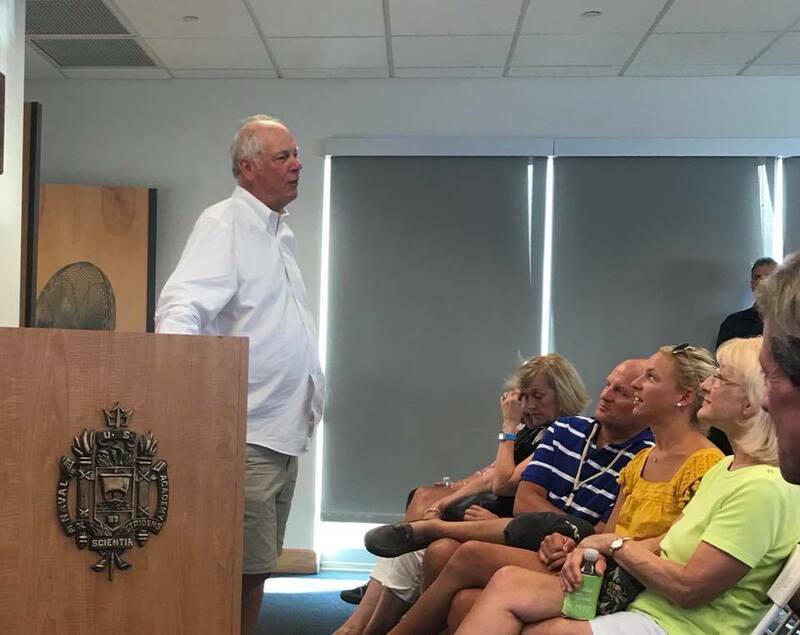 We gathered for more program info and then the keynote speaker Gary Jobson gave us an exciting presentation on history of the America’s Cup, some action sailing footage, and some inspirational reminisces of his own life and sailing experiences. He left us wanting for more. 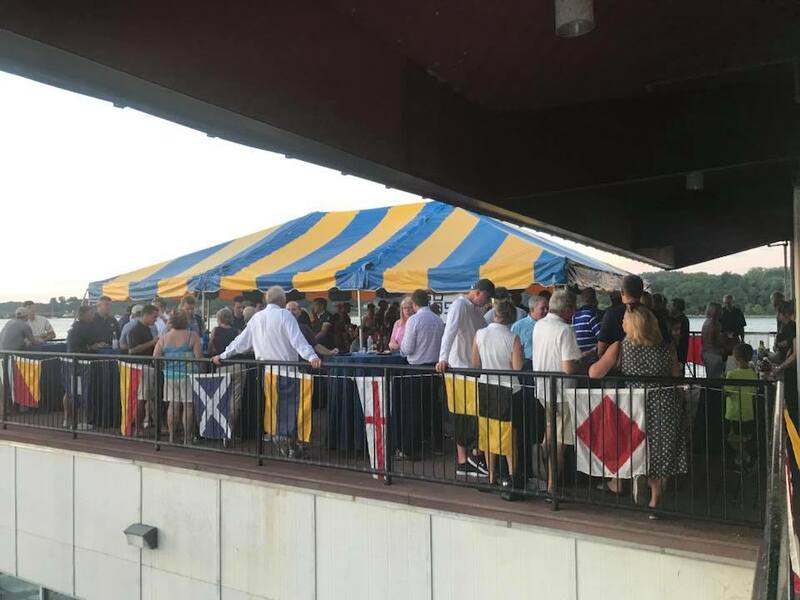 More great food and drink were enjoyed on the top deck of the Sailing Center, more stories embellished and smiles abounded. The class of 1982 was recognized with the most classmates in attendance. Accolades go to Hal Gilreath and his committee for organizing a great weekend. 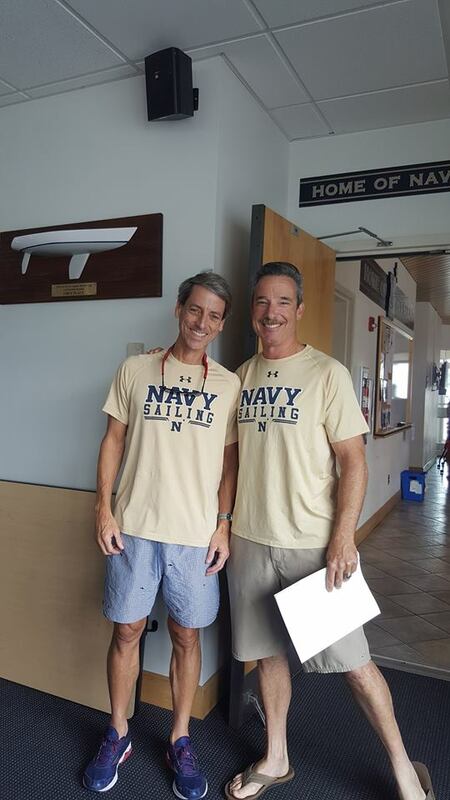 USNA and the entire sailing staff and coaches were very supportive and the opportunity to rub elbows with them, and especially with the current midshipmen in the program, was a real treat. 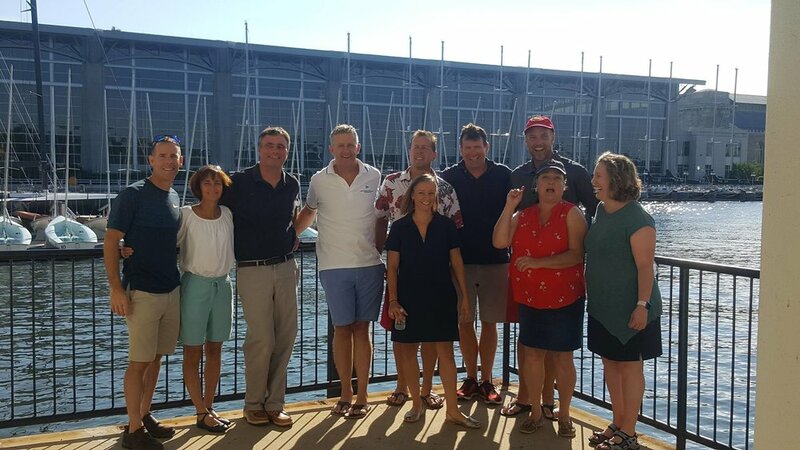 And probably the most extraordinary component was the opportunity to catch up with classmates and teammates in an informal setting. If you were unable to attend you missed a fantastic event and we hope you attend next time.